200 x Sage Seeds. Special situations are examined on a case to case basis. Materials :Seeds. pealse be aware of this before placing your order. The pot needs to be turned periodically to light one, other party. The substances which are contained in rosemary improve mood, reduce stress, improve a condition of skin. Usually it is the second half of February or the beginning of March, depending on the region. 1g (approx. 30 Seeds). Perennial delicious shoots, which are formed in the ground. At one point growing 10-15 years. Before sowing the seeds soak for 3 4days. On the third year harvest from July. Substrate pH: 6.2-6.5, African marigold can be used to detect low pH. Low pH (<6.0) is characterized by yellow leaves, leaves appear on the edge of the scorch. 7, growth regulation: African marigold is sensitive to B-Nine, Sumagic and Bonzi, Antigu is natural dwarf, no growth regulation. 200 pcs Banana Seeds,dwarf fruit trees,Milk Taste,Outdoor Perennial Fruit Seeds For Garden plants. 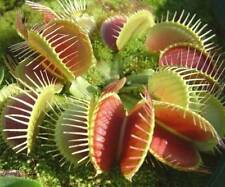 Classification:Novel Plant. Use:Outdoor Plants. We will try our best to provide better service for you. 1g (approx. 200 Seeds). Late variety (120-140 days). 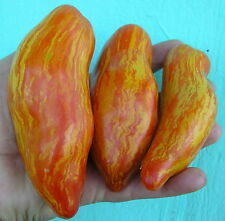 The bulbs are very large, elongated-oval shape, weight up to 800g, golden-yellow color. Juicy with sweet taste. Valued for very large bulbs and high productivity. Used for fresh consumption and in salads. 1g (approx. 40 Seeds). Beautiful annual flowering plant height 140-160cm (56-62 in.). The flowers are single, large, diameter 10-15 cm (4-6 in. ), in various colors. Blooms from July to October. Product Type: Bonsai Plant. Bonsai Plant : Purify The Air Absorb Harmful Gases. Hi warm climate. Applications: Balcony, garden, living room, study, windows, office, etc. Quantity: 100 pcs. We will try our best for you. Most gardeners treat evening primrose as an annual, but they are biennial or perennials that reseed themselves. Cape Jasmine Gardenia Fragrant 500 seeds Exotic Garden. Rake the area where you plan to plant the seeds to loosen the soil. 1g (approx. 25 Seeds). Japanese Flowering Quince is a small spiny tree. If left to grow naturally, it reaches 90cm (3ft.) tall. Chaenomeles Japonica are much beloved for bonsai because of their tiny, lovely flowers. Flower colors can be white, pink, red, orange-red and orange. 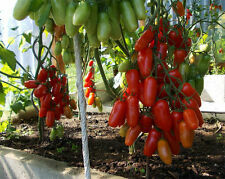 They are produces as early as January, and may continue to flower for a long time following the appearance of leaves. Apple-like edible fruits appear in Autumn, though these are normally removed to conserve energy for growth. Seeds requires 90 days cold stratification. Salvia nemorosa L, a genus of the genus Salvia, a perennial herb. Small nut oval. Flowering from May to September. 200pcs Gold Yellow Kiwi Fruit Seeds Bonsai Fruit No-Gmo Kiwi Seed Garden Plant. 50 Rare Giant Russian Cabbage Seeds High-Quality Healthy Organic Vegetable. 2g (approx. 900 Seeds). Early variety, grows in one place for at least 3-4 years. Leaves hollow, long, 20-45 cm (8-17 in.). During growing season cut the leaves serval times, they regrowth well. 0.4g (approx. 400 Seeds). Annual flowering plant with ranched stems, growth up to 40-60 cm height. Small, clustered white flowers in loose inflorescences. Use for flower arrangements and flowerbeds. 200pcs Gold Yellow Kiwi Fruit Seeds Bonsai Fruit No-Gmo Kiwi Seed Garden Plant. Delicious 100pcs Fig Tree Seeds Greek Honey Fig Amazing Variety Exotic Fruit. 20Pcs Purple Cauliflower Seeds Organic vegetables. Trailing Petunia is a creeping plant. The blooms make wonderful cut flowers and it is good for hanging and flower bed. Quantity:500 seeds, Mixed Colors, bulk seeds. Seeding season: all seasons. Colors: purple, yellow, blue, pink, rose, light yellow, white. 1g (approx. 2000 Seeds). Annual plant - Baby’s breath, also known as gypsophila, is a perennial known for the beautiful tiny pink flowers on stems that grow 50-60 cm tall. Flowering from June to July. Plant tolerant to cold and have a good drought resistance. 0.4g (approx. 400 Seeds). Annual flowering plant, grows 40-60 cm (15-23 in.) height. Small, clustered pink flowers collected in loose inflorescences. Use for flower arrangements and flowerbeds. This is oriental garden vegetable (large young shoots are edible raw or cooked and thick roots are cooked like scorzonera). The seeds should be sown surface in autumn in cool cellar in pots or cold stratified before sowing. Carolina Reaper a.k.a HP22B : H ottest pepper in the world. Total: 60 Seeds of the World's Hottest Peppers. igh range of 2,200,000 Scoville Heat Units!